To all the Benedict and Sherlock Holmes’ fans, it is Benedict Cumberbatch’s aka Sherlock Holmes’ birthday month. 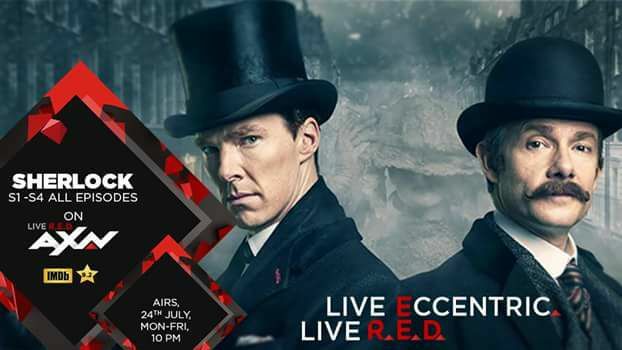 And to celebrate the birthday of the man who plays the most iconic detective on screen Sherlock Holmes, AXN has taken an unconventional route for its fans. 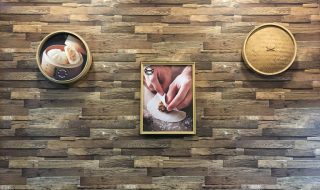 In addition to showing all Sherlock episodes back-to- back for the first time, the channel also hosts a unique restaurant crawl across 5 premium venues in 5 cities – Mumbai, Gurgaon, Bangalore, Pune and Kolkata. 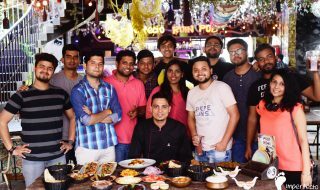 We the R4Review team were invited for the restaurant crawl in Pune on 20th July. 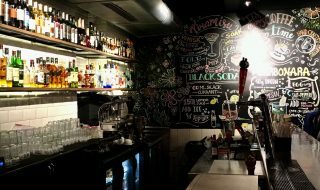 The restaurant crawl started at High Spirits at Koregaon Park. All attendees gathered at High Spirits were given the participant band, and drink and starter coupons for the crawl. The event started off with b’day wishes to Benedict Cumberbatch and the host guided us with the crawl rules. The participants got to play detectives! 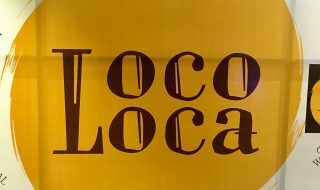 Each venue was linked to a Sherlock character that all participants had to look for. 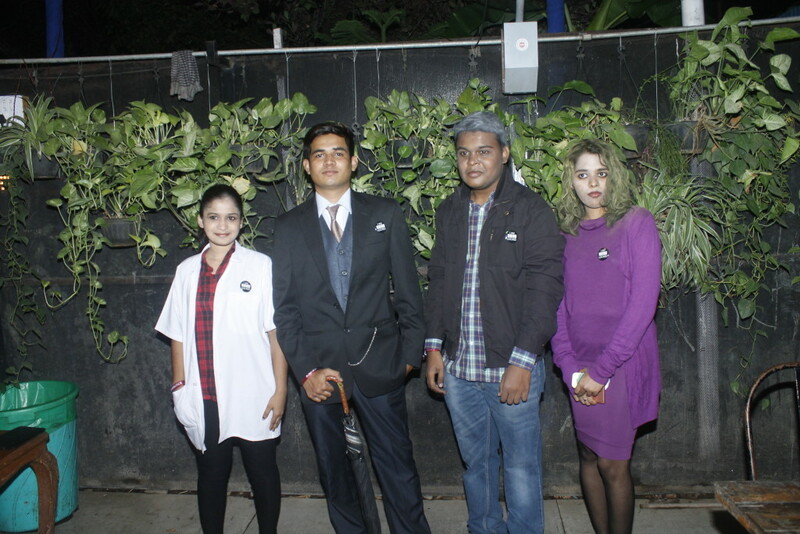 Upon finding the ‘cos-player’, participants had to answer a simple Sherlock-related question correctly, click a selfie with the character and upload it on Facebook to avail free drinks and starters. One also needed to get a stamp from the cos-players to be eligible to win cool merchandise at the final venue. At High Spirit the cos-player was Molly Hooper a registrar who works in the Morgue in Sherlock series, she asked participants question about Sherlock. The next restaurant was Agent Jack with the cos-player Mrs. Hudson, followed by 1 Lounge, Pent House and to end at Hard Rock Café. With every passing restaurant the participates moving to the next got narrowed down. The final gathering at the Hard Rock Café, ended with winners’ announcement and networking. 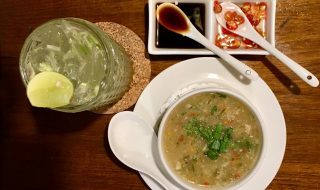 It was one of a kind experience with restaurant hopping, sipping wine and tasting starters. 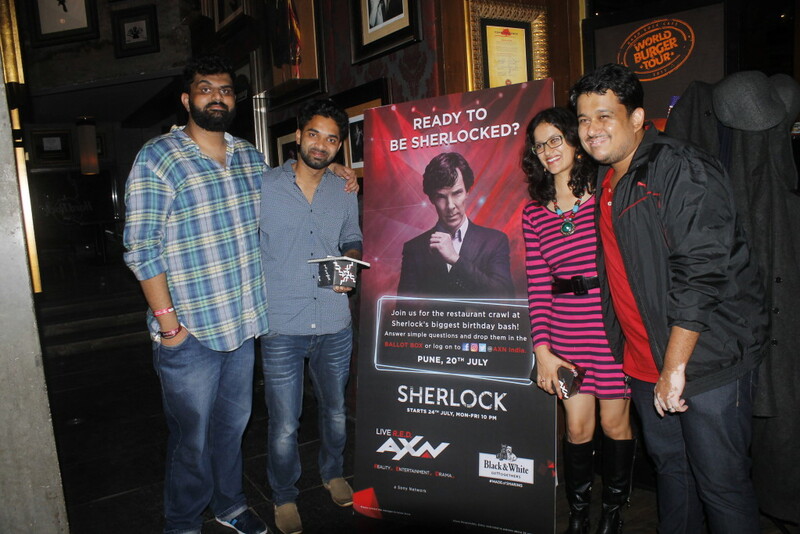 Sherlock restaurant Crawl is AXN’s perfect gift to celebrate Benedict’s birthday as Sherlokians will get to party and relive Sherlock moments, the Sherlock way! The channel will also air all four seasons of the show along with Abominable Bride, July 24 onwards every Monday to Friday, from 10PM to 12AM. Watching Benedict’s finest work ‘Sherlock Holmes’ for his birthday is the best treat for all you Sherlockians out there. So are you all ready to be part of the biggest birthday bash? The crawl in Bangalore and Gurgaon are on 24th July, check out AXN India Facebook page to be part of the crawl. 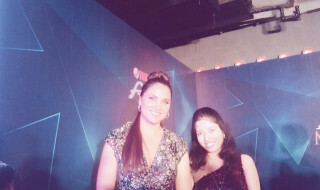 AXN is India’s leading English General Entertainment Channel, backed by Sony Pictures Networks (SPN), offering Indian viewers edge of the seat entertainment for the last 19 years. Supernatural. In addition, AXN premieres shows close to their U.S. premieres in its ‘Fresh from the U.S.’ slot on weekends. Dare to style your hair without worrying about the damage, with Godrej Professional! !